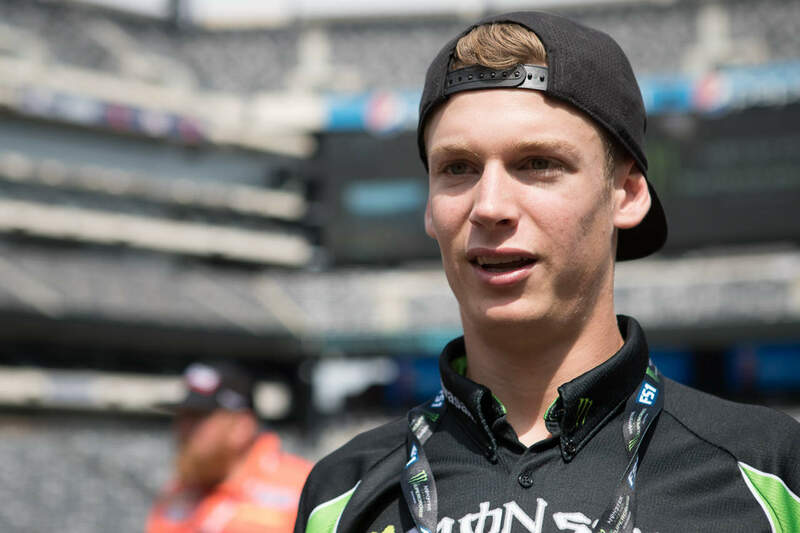 Coming into the pro ranks, Adam Cianciarulo was one of the most looked at amateur athletes. Now, he rides for Monster Energy Pro Circuit Kawasaki, and pilots a KX250F–and he is no doubt a fan favorite with his personality and humor. Has 5 career 250SX Class wins and 9 career 250SX Class podiums. Was the 2011 Monster Energy Cup Supermini Champion. Two-time AMA Youth Motocross of the Year (2012 and 2011). 11 AMA Amateur National Motocross Championships (2005-2012). The winningest mini bike rider in amateur motocross history. 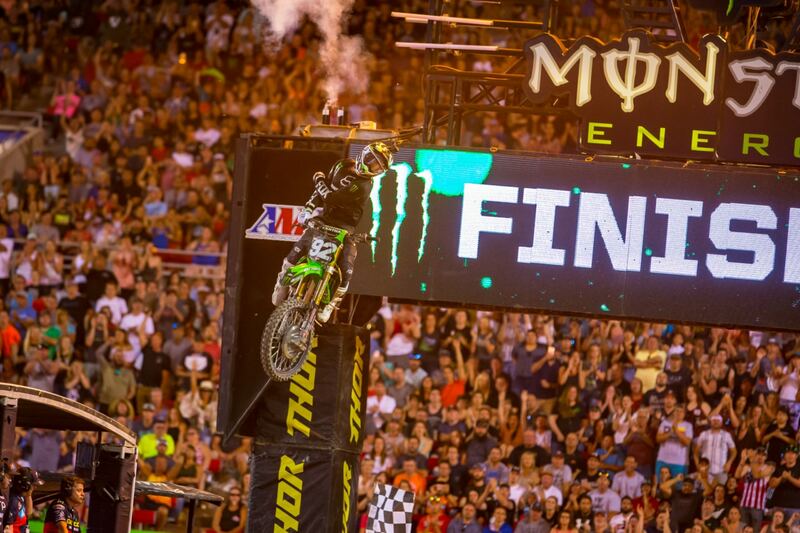 This was Adam Cianciarulo’s first win of the season in Las Vegas. He tried so hard all year, but it wasn’t easy with a torn ACL.